If you're anything like me, lying on a beach can get a little boring. If you don't need a tan, getting oiled up for a day of lying in the sun is far from exciting and more often than not, you're itching to do something else. Here are a few beach activities to make your time in the sun a bit more fun. A trip to the beach is always a great opportunity to take pictures, so why not get creative and start snapping the sights. St Kilda Beach has many sea creatures close to the shore, the perfect place to swim with the fish and get great photos. Brighton Beach has a great view of the Melbourne city skyline, and if your patient you can get some great sunset photos too. Port Melbourne Beach has a perfect view of the iconic Spirit of Tasmania ship. If you're with a group of friends then make the most of the beach and get lots of group shots too. There's nothing like sandwiches, chips n' dip, pasta salads and ice cream to make a trip to the beach a bit more exciting. If you're going to the beach with a few friends, get everyone to bring a few different snacks and spend the day indulging in junk food whilst catching up with friends. 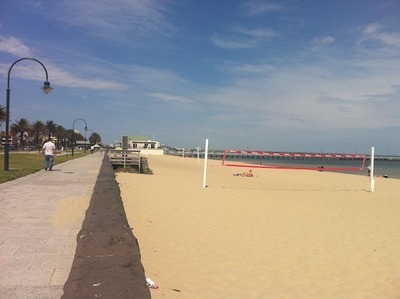 St Kilda Beach is very close to Woolworths and Coles on Acland Street if you want to get your supplies there, or there are also many great cafes offering take away food you can enjoy on the beach. The beach has lots of sporting opportunities whether you're in the sea or on the sand. Phillip Island has over 100km of coastline and is a popular place for surfing. The Island also has a lot of wildlife spotting opportunities, including the legendary penguins. 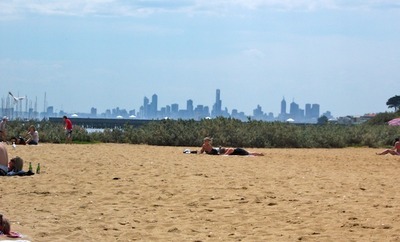 South Melbourne Beach has plenty of badminton nets, as well as lots of space for soccer or cricket. Building a decent sandcastle can feel strangely rewarding. 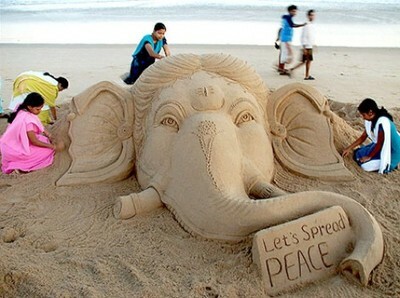 Why not get a bit more creative and try making a sand animal or statue? Head to the beach with plenty of water to help bind the sand, and then get moulding! Sand art also makes for great picture opportunities. Brighton Beach is one of the lesser crowded places where you'll have much more space to get creative. Curl up with your favourite book and lose yourself in a great novel. If you rarely have the time to catch up on your reading then try enjoying a good book whilst making the most of the beach at the same time. If you've got any good tips for beach activities please share your thoughts.